With the Chinese New Year just days away, the tot and I revisited a fun art activity we’d done in the past – but with a spin. This is a fun project for kids of all ages – and older ones can take things a bit further. All you need are a few items, which you probably have hanging around, and some imagination and creativity. Older kids can do a bit of research to learn more about the art of Chinese calligraphy. The art of writing and creating characters has been a large part of the Chinese culture for thousands of years. It’s considered one of the most sublime forms of art in the Orient, with artists spending their lives dedicated to the creation of beautifully drawn symbols and letters. Invite your child to search out examples of Chinese calligraphy online and print out a few examples. Or, if you’ve got a younger tot, you can have an example handy. 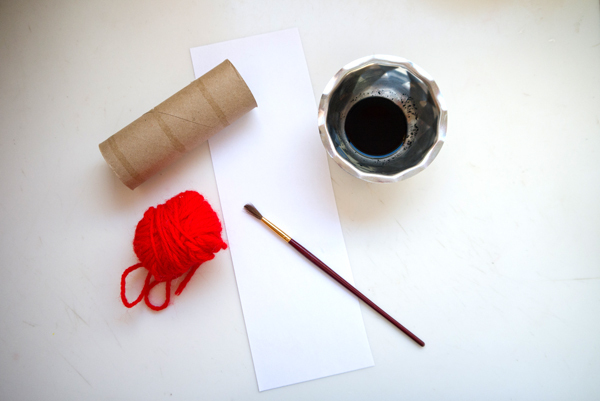 Gather together a toilet paper roll, some white paper, a few brushes, and some black tempera paint. You’ll also need scissors, a length of sting, and some tape. Once you’ve got everything together, invite your child to cut a length of white paper just a bit skinner than the width of the toilet paper roll cutting from one of the longer sides of the paper. This will be the paper for his Chinese calligraphy scroll. Now your child can take a closer look at the examples of Chinese calligraphy. In Asia, calligraphy is created with special brushes made from bamboo and written on paper created specifically for calligraphy. 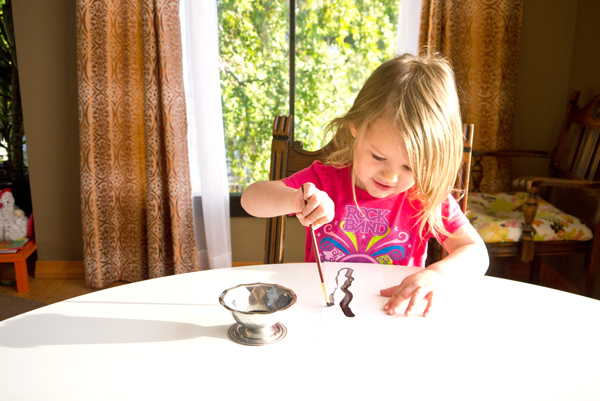 Have your child pick the perfect brush to use for creating his Chinese calligraphy scroll. Water down some tempera paint and offer it to your child for creating his own unique calligraphy drawing creations. Younger ones can free form lines and designs while older children can try to copy letters exactly – along with putting their own spin on things. Symbols in Chinese calligraphy go from top to bottom, so encourage your child to create his letters in a linear line. Once your child has finished making a few marks, he can let his scroll dry while creating more marks on another paper. As soon as the paper is dry, your child can tape the paper onto the scroll and finish things off by tying the length of string around the ends of the toilet paper roll. 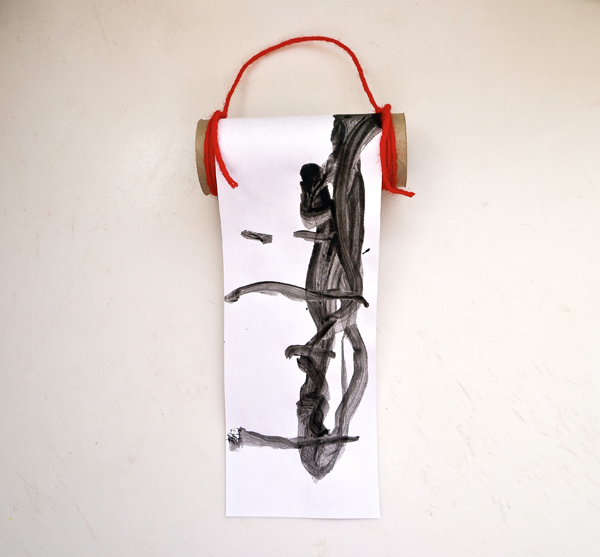 Find the perfect place to hang the scroll or give to friends and family on Chinese New Year!